If you’re visiting Poland, you owe it to yourself to check out the local food. Polish cuisine has a long and rich tradition, combining Eastern European and Slavonic cultures with elements of German and even Italian. Meat, particularly pork, chicken and beef, plays a large part, and root vegetables as well as cabbage and broccoli are popular. Polish interpretations of pasta manifest in noodles and pierogi, and there is a rich tradition of mushroom dishes and delicious soups. An important aspect of Polish eating is not just the dishes, but also their combination, timing and preparation. Breakfast, for example, is generally a robust meal that might include rolls, honey, jam, and quite possibly ham and eggs as well. Tea is the usual breakfast drink rather than coffee. The day’s main meal is usually taken in the early afternoon (although cosmopolitan Poles are increasingly choosing to dine in the evening) and is usually a three-course affair that might start with a soup or an appetiser such as pickled herring or cured meats. The main course is usually hearty and meaty, and may be accompanied with potatoes or kasza (a savoury side dish made from buckwheat. ‘Surowka’, a kind of coleslaw made from carrots, beetroot and celeriac is also a popular side, as is pickled cabbage. Dessert might consist of cheesecake or ‘szarlotka’, a type of apple pie. If dinner is taken during the day, the evening meal will be much lighter; perhaps sandwiches and cakes. Let’s now take a closer look at a few Polish classics. Pierogi, which to Western Europeans look a little like ravioli, are often translated on menus as dumplings, which to my mind makes them seem less interesting than they are. Essentially they are small semi-circular ‘wallets’ of unleavened dough that can contain a variety of fillings, both savoury and sweet. They can be boiled, fried or baked. 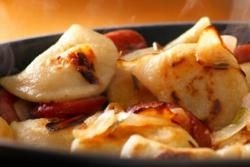 Popular fillings include: pierogi ruskie – potato and cheese; pierogi z miesem – minced meat; grzybami – mushrooms; z serem (sweet cream cheese) – popular as a dessert; and summer fruits like strawberries and blueberries are popular fillings served with cream. 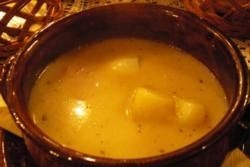 Zurek is a very substantial soup that can often suffice as a meal on its own. A hearty broth made usually from soured rye flour, to which can be added potatoes, white sausage, bacon, vegetables and even a hardboiled egg. A popular method of serving is in a hollowed out loaf of bread, which can then be eaten as well. 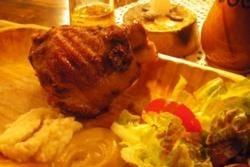 One for the meat lovers, Golonka, usually translated as pork knuckle, is a hefty treat. Served on the bone, the pork knuckle is a big chunk of meat, wrapped in creamy fat and cooked slowly (most commonly braised or boiled). The sweet and tender meat goes down very nicely with some sharp horseradish sauce, a big hunk of bread and a beer. Bigos, or hunter’s stew, is a true classic considered by many to be Poland’s national dish. As with many stews, there is considerable room for variation in the specific ingredients, but the essentials are meat, cabbage and a long slow cooking time. 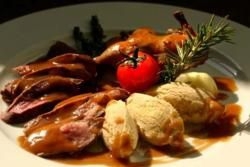 The meat component could be any combination of pork, bacon, beef, veal or sausage, or ideally game, such as venison. This spicy favourite is definitely one to keep the chills at bay! 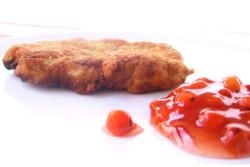 Poland’s variant on the classic Wiener schnitzel is the Kotlet Schabowy. The meat – in this case pork tenderloin – is cut into thin slices and then pounded with a wooden mallet to tenderise it. It is then coated with a spiced mixture of egg and breadcrumbs and shallow-fried. 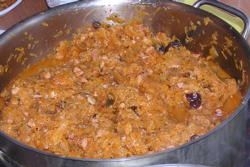 It is usually served with potatoes, rice or chips, along with vegetables or salad. Heading towards the sweeter end of things, Makowiec is a popular cake that is a sweet bread roll with a poppy seed filling. 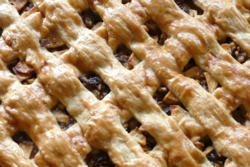 Variants can add honey, lemon zest or raisins. Szarlotka is Polish apple pie: baked in shallow rectangular baking tins and cut into squares, it consists of a shortbread base, apple filling and glazed shortbread topping. Most cafes will offer these sweets (and others, such as pastries or cheesecake) as an accompaniment to coffee.